We’re big fans of open APIs – they bring much-needed transparency to the banking industry and are a catalyst for better services. And while PSD2 will usher in an era of open APIs, it does so in a whisper – offering only payment data and thus an incomplete picture of a customer’s full financial life. The future is open APIs that make all data available – and create a foundation for anyone to build services that result in better financial choices for us all. Tink is already there; we’ve been aggregating the full scope of consumers’ financial data with their permission since 2013. This means mortgages, loans, credit card debt, savings, investments and more – data that allows our banking partners to get the full picture of their customers’ financial situations. Using our proprietary technology, they are pulling far ahead of their competition and creating valuable solutions that are steps ahead of even PSD2. PSD2 is creating a much-needed culture shift in the banking industry and encouraging transparency that will benefit us all. But the data it makes available through open banking APIs only includes “payments” data – a vague and limited subset of accounts that boils down to the transactions in a checking account and perhaps a credit card. It provides some opportunities for new services. But our financial lives are far richer than the sum of our checking accounts. Access to payments data alone doesn’t allow you to offer the kind of innovative services and insights that create real value for customers – and draw them away from competitors. But until open banking APIs make the full scope of data available – a day we look forward to – the question is: how do you access the kind of high-quality, reliable and accurate data you can build great services on? One of the technologies used is “screen scraping”, a common way of collecting data displayed on a screen so it can be displayed by another application. But it’s incomplete, slow and unreliable. If a bank changes their code, the software that scans and fetches the data from their web pages can either miss some – or break. Simply put, it’s not a sustainable way to build products that truly offer value to the customer – or add to the bottom line. We do things differently. We retrieve the data through “reverse engineering”, a process that allows us to access the banks’ APIs and retrieve a rich trove of real-time data with users’ permission. In essence, we are able to interact with the bank’s server in exactly the same way as the bank’s app does. This means the data is reliable, high quality and accurate. The data we extract is aggregated, enriched and categorized. 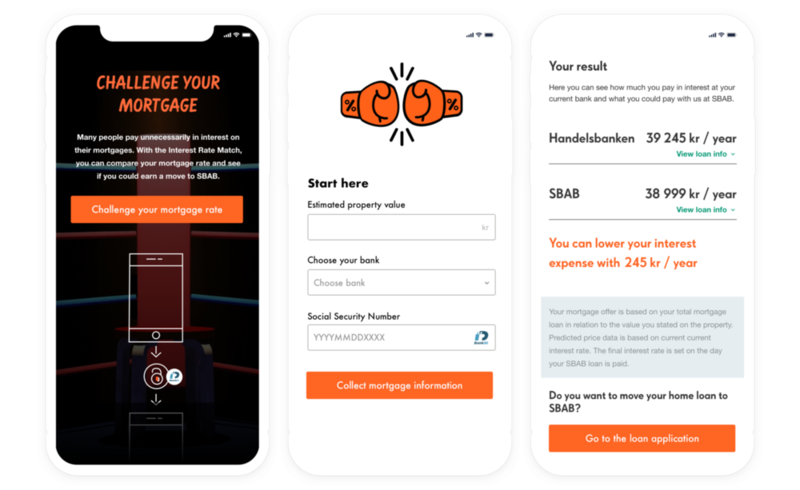 It can then be presented to users in the form of financial insights and analysis in a bank’s existing mobile app or can be used for a more targeted purpose like offering customers a better investment strategy – and in the case of one of our many banking partners, SBAB, a better mortgage rate. SBAB is using our aggregation product to quickly – and pretty effortlessly – sign new customers. Our technology allows them to see in seconds whether they can beat a potential customer’s current rate. If the customer accepts, they sign one piece of paper – and SBAB has a new customer to whom they can offer new products. We believe open APIs that provide the full scope of customer financial data – with their permission – are the future. But until that day comes, our banking partners are reaping the enormous benefits that come from legally accessing this data through our technology. They’re not waiting for some distant future – and neither should you.